On an analyst conference call convened to mark its third quarter results to 25 April 2015, outgoing Cisco CEO John Chambers reflected on his 20 years at the top and set out his hopes for his successor, Chuck Robbins. Chambers said Cisco had put its neck on the line to declare that the internet would alter the fortune of companies, countries and people back in 1997, and had been vindicated in doing so. More recently, he went on, it had started talking about the internet of everything (IoE), which has also gone mainstream. “Chuck, I know you will leverage the things that have made us great to date. I also know you will make changes when needed and drive innovation and new capabilities at a faster pace,” he said. The choice of sales veteran Chuck Robbins to replace retiring Cisco CEO John Chambers points to continuity in product development. 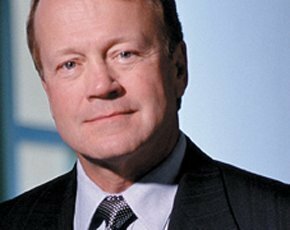 As IT legend John Chambers passes the Cisco CEO torch to sales executive Chuck Robbins, what does this mean for CIOs? Chambers told analysts that Robbins’ stewardship to date of the enterprise business boded well for the future. Robbins, meanwhile, set out his intention to continue to combine internal research and development partnerships with acquisitions as a means to elevate Cisco’s technology portfolio, and set out his agenda for the first 90 days. “I want to spend the next 90 days just talking to our leadership team, our employees, our customers, our partners, our shareholders, analysts, to really make sure that the theories and the things that I think we should be doing are in alignment. “Beyond that, we’re going to focus on aligning our resources against their best priorities for the company. I really want to focus secondly on clarity and simplification of our messages, and that’s internal and external,” said Robbins. The networking supplier and sector bellwether made sales of $12.1bn (£7.6bn) during its third quarter, up 5.1% on the year-ago figure of $11.5bn. Net profit of $2.4bn was up by 11.7% compared with $2.2bn in the third quarter 2014. Cisco top brass said it was in a strong position at the end of a solid quarter, as it continued to help its customers digitise their businesses. Company highlights included the opening of an IoE innovation centre in Berlin, and the announcement of another such facility in Australia; the introduction of Cisco Collaborative Knowledge, a software-as-a-service product for sharing expert advice, learning and knowledge in real time; the acquisition of Embrane, a lifecycle management platform for application-centric (or software-defined) network services; and the establishment of software resale agreements with Cloudera, Hortonworks and MapR for their Apache Hadoop data management capabilities. On the customer side, Cisco announced it was deploying small cells through UK mobile network operator EE to help it support its enterprise customer base; sold a virtualised mobile internet system to support AT&T’s carmaker customers in developing connected cars; and deployed a major technology and telecoms infrastructure upgrade at São Paulo International Airport in Brazil.